Fantastic day today around Limerick City Hall at Africa Day Limerick 2010. A far bigger event than last year with even more to see do and sample! Great music on the main stage and little pockets of entertainment around the grounds and main building. A quick Video below to give the flavor of the day. Full image gallery on Munsterimages.ie for free download if you want. Huge show today in Limerick with loads of different cars with everything from Beetles to Ferrari's to see. A show for the hardened enthusiast or just the casual browser. Lots of more modern cars on show as well. The rain held off and there was a good turnout. Lots to Do in Limerick this weekend! - Africa Day and Vintage Car Show for Starters! Africa Day Limerick will take place in the grounds of Limerick City Hall on Sunday, 30th May 2010 (for directions to the venue, click here). Irish Aid has chosen a food-related theme for its Africa Day celebrations in 2010, with a particular focus on issues such as food security and hunger. The flagship Africa Day event in Limerick will be a fun, family-friendly day out, featuring interactive cultural and educational activities for both children and adults that celebrate and showcase the diversity of African cultures and societies. Upon arrival at Africa Day Limerick, visitors will be greeted by the sights, sounds and smells of Africa. The African Bazaar will be a hub of activity, showcasing the food, music and unique cultures of over 20 different African countries. The Embassies Section will house displays by five of the African countries that have Embassies in Ireland, while in the Education Zone, visitors will be able to interact with development NGOs and learn more about their work in Africa and development issues through participatory, fun activities. If you are looking for traditional African food and drinks, visit the Food Zone, where a wide variety of food - from all regions of Africa - will be on offer throughout the day. Music will once again be a key feature of Africa Day, with performances from African and Irish acts on the Music Stage. And workshops - on literature, drumming and policy issues - will be available in the Speakers’ Corner over the course of the day. The Limerick Classic & Vintage Car club will be holding their Summer Show on Sunday 30th May. The show is being held in the same location as last year on a 14 acre tarmac site at Unigolf, National Technology Park, Castletroy, Limerick. Last year's show attracted in excess of 600 cars and this year we have added attractions such as kiddy rides, bouncing castles etc. N 52deg 40' 23" / W 8deg 33' 27"
Click below to open Google maps and create your own custom Directions. And a Short Video Clip. Well Andreas has been invited to study for two weeks at New Yorks most prestigious Skidmore college of music this summer. This is a fantastic opportunity for Andreas to develop his talent and fine tune his already far advanced skill as a Jazz musician. We want to help him get there. We are holding a benefit, a day of of good food and great music in Nancy Blakes on Sunday May 23rd. 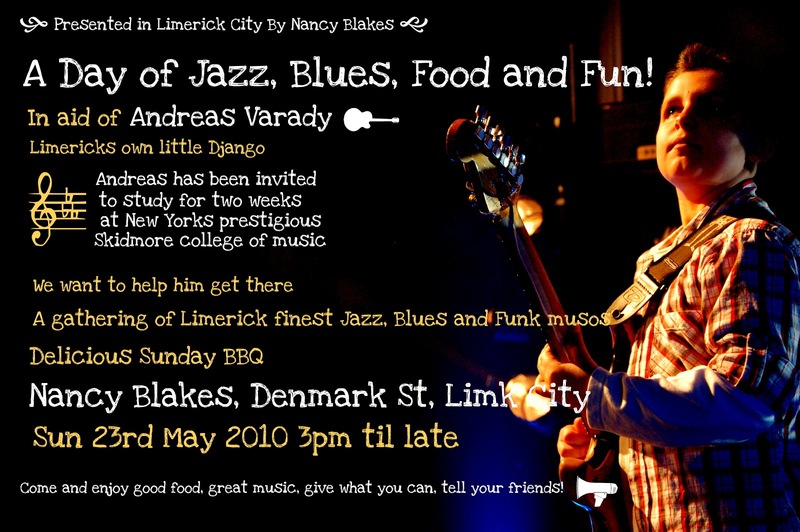 From 3pm Limerick finest Blues Jazz and Funk musicians will take the floor in Nancy blakes and stream top quality music while the lovely folks in Nancys dish out a delicious Sunday barbeque. Andreas of course will play a set or two to showcase his virtuosity, so if you haven't seen him, make it your business to catch him! There will be buckets going around for donations for you to give what you can towards this gesture of goodwill to Andreas. A talent like Andreas' doesn't come along very often and he definately deserves to be nurtured and brought to his fullest ability. Andreas and his family have been in Ireland and indeed Limerick for 4 years now, and he has been blowing us away with his superb musicality on a regular basis. Please, forward this email, tell your friends and come on down to enjoy a crackin day of ceol agus craic and give a helping hand to Limerick own little Django. The Boherbuoy Brass and Reed Band were playing outside the tourist office at Arthurs Quay Park today as part of the May Music in the Park series of lunchtime concerts. The music was excellent and went down very well with the crowds in attendance. The band under the baton of musical director Derbhile dePaor played some great classics which had all the children in attendance playing along and thoroughly enjoying themselves. This was a great initiative from Limerick City Council and should be extended to carry on throughout the summer in Limerick. There is a wealth of musical talent in this city and these events are a great way to let the public and tourists hear some great music. Munster will get down and dirty for its first taste of Mud Run as Ireland’s muckiest race heads south this coming June. The Munster Mud Run, which will be held at 11am on Saturday, 19th June 2010, takes place at Coillte, Ballyhoura Mountains, Doneraile, Co. Cork. The 5km forest track takes participants through mud pits, water holes and over a series of obstacles guaranteed to leave them dirty, muddy and smiling. Registration for Munster Mud Run is now open for those with a sense of adventure and fun by visiting www.mudrun.ie. Cost of registration is €30 for individuals, while groups of four can register for €100. Derek McKay of Mud Run Ireland said, “Munster Mud Run is guaranteed to be great fun and the Ballyhouras provide the perfect backdrop for the event. Mud Run is open to everyone from first-timers who want to try something different to those who train hard and want a good laugh. “Our first Mud Run was hugely popular and people travelled from all over the country. We noticed those from Munster had a particular fondness for getting dirty and mucky so we’re really excited about the June event. Places are limited so register early!” he added. Situated on the boarders of Cork, Limerick and Tipperary, the Ballyhoura Mountains are easily accessible; just 45 minutes from Cork and Limerick city centres. The region is fast becoming synonymous with outdoor adventure activities, which include mountain biking, kayaking, paragliding and equestrian sports. Novelty prizes for the first male and female to finish will be presented on the day as well as prizes for the cleanest, dirtiest and first group to cross the finishing line. All participants will get a special Munster Mud Run t-shirt. SpiritStore Catherine Street Culture Dig (CAT DIG). Residents and traders from Catherine street in Limerick city centre are participating with SpiritStore as co-hosts and instigators of a programme of cultural events to be enjoyed on the street over one weekend in May (7th-9th) . To introduce SpiritStore's ‘Catherine Street Cultural Dig’ and to mark the opening of ev+a 2010, (March 13th) we will be serving the traditional Limerick dish, ‘Packet and Tripe’ at 6pm on Catherine street. The inspiration to present this unique Limerick recipe in this manner is a homage to the continuous presence in the city centre of family butchers, the social history of Limerick as a 'Pigtown' and of course the ever present meat processing tales of Catherine Street. The CAT DIG is inspired by the positive responses from both cultural producers and audiences to the SpiritStore Art Cafe project at the Sarsfield Bar. Photos are from one of the Events Today on Catherine St.
Visit Munsterimages.ie for more photos. Limerick's Live 95FM Shadows are on hand to help out. Date: Saturday 29th May at 3.00 p.m.
Tallaght Choral Society was formed in 1967, when Tallaght was still a small village at the foot of the Dublin mountains. A group of singers came together under the direction of Fr. Donal Sweeney OP to form a church choir based in the Dominican Priory. Under a succession of music directors, the small church choir gradually took on the mantle of a choral society and now has a membership of over 100. The current music director Mark Armstrong was appointed in 2002 and under his baton the society has continued to flourish and now has a reputation as one of Ireland’s strongest choral societies. The link with the Tallaght community remains strong, especially with the Dominicans. In December 2008 the choir performed a selection of Christmas music in order to raise funds for the Loop System for the hearing impaired which is now fully operational. The Choir also sang a mass in the Priory in September and sang at the Carol Service there in December. Tallaght Choral Society has participated in many RTE productions and its successful collaborations have included works with the National Symphony Orchestra, the National Youth Orchestra, the R.I.A.M orchestra, Belfast Philharmonic Choir and Liverpool Welsh Choral Union. In May 2007, it was part of a 500 strong choir performing Mahler’s Symphony No. 8 ‘Symphony of a Thousand’ with the National Symphony Orchestra under the direction of Gerhard Markson. On Christmas Eve, 2007, the society was invited to sing for the RTE televised Mass from Mount Argus church. Their most recent performance was Mozart’s Requiem and a selection of pieces by Handel in the National Concert Hall in January which was well received by a full house. The upcoming performance in Glenstal Abbey features Duruflé’s Requiem along with other assorted pieces and promises to be a memorable afternoon. The Requiem is based on Gregorian themes and as the monks in Glenstal are word-renowned for their plainsong the Abbey would certainly seem to be an obvious place to perform it. There is a great organ with fabulous acoustics – what better way to spend a Saturday afternoon. Joanne Ui Crualaoich, an Ultra Runner, has kindly agreed to help the Carers Association raise much needed funds by running from Malin to Mizen Head on 21May 2010. She hopes to set a Guinness World Record for her run. The Malin to Mizen Head route is approximately 350 miles. 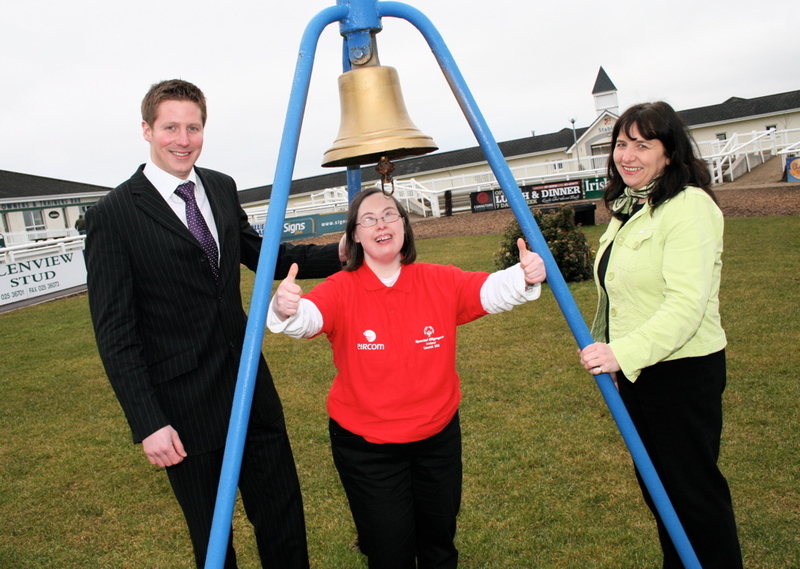 Joanne hopes to complete it in under six days which would set a Guinness World Record. That is 70 miles per day, each day - almost the equivalent of 3 marathons each day! 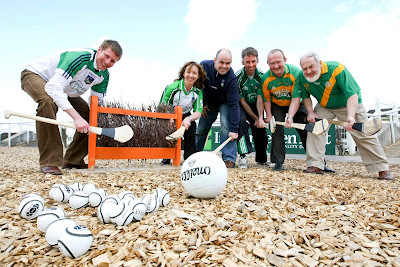 The Supermacs GAA Sunday at Limerick Racecourse on May 16th with the first race of at 2.25pm. This 7 race National Hunt Card will feature the Supermacs Hurdle of €22,000 and the South’s Bar Beginners Chase. As we approach the onset of summer racing the entries for the day are sure to be high in number and quality. Limerick Racecourse are once again promoting the Supermacs Sunday to the GAA fraternity through a number of channels. Firstly, All GAA supporters are invited to wear their club and county colours to the racecourse and gain admission for a mere €5. On the day we have the Cúl Camps promoting their summer activities with Cúl Camp organisers staging GAA games demonstration and activities at the Racecourse After racing we have the annual county final of the long puck competition where patrons can cheer on their favourite competitor. As always there will be a kids club and additional family activities. Go online to limerickraces.ie to avail of the superb packages i.e. Punter Pack, Munster Package or Restaurant options. With the upcoming the Special Olympics Ireland games taking place from the 8th to 13th of June in Limerick, Limerick Racecourse are delighted to be donating a portion of the gates takings towards raising funds for the Special Olympics events. Summer is on the way and so are our popular Twilight evening race meetings. Due to popular demand Jerry Fish and the Mud Bug Club will be playing after racing on the 12th June, Republic of Loose will be playing on the 18th June and finally The Camembert Quartet are returning on the 22nd July. Online sales for The Twilight Racing on the 12th & 18th June are selling out fast, so don’t miss out, and get booking! Group rates apply on all tickets and don’t forget concession admission to the SinBin after racing!! We are now posting full event coverage slideshows over at Munsterimages.ie Sample photos below from the different albums available for free download from there. There are photos of the Continental Market, From the Great Limerick BBQ and also from the start of the Marathon Stage of the Great Limerick Run.